Unique Protein Blend – A hearty blend of beef, lamb protein, eggs and wild boar provides complete protein nutrition with a rich, meaty flavor. Beef, peas, garbanzo beans, lamb meal, canola oil, egg product, wild boar, ocean fish meal, pea flour, dried yeast, tomato pomace, flaxseed, natural flavor, salmon oil (a source of DHA), salt, choline chloride, taurine, dried chicory root, tomatoes, blueberries, raspberries, yucca schidigera extract, dried Lactobacillus plantarum fermentation product, dried Bacillus subtilis fermentation product, dried Lactobacillus acidophilus fermentation product, dried Enterococcus faecium fermentation product, dried Bifidobacterium animalis fermentation product, vitamin E supplement, iron proteinate, zinc proteinate, copper proteinate, ferrous sulfate, zinc sulfate, copper sulfate, potassium iodide, thiamine mononitrate (vitamin B1), manganese proteinate, manganous oxide, ascorbic acid, vitamin A supplement, biotin, niacin, calcium pantothenate, manganese sulfate, sodium selenite, pyridoxine hydrochloride (vitamin B6), vitamin B12 supplement, riboflavin (vitamin B2), vitamin D supplement, folic acid. 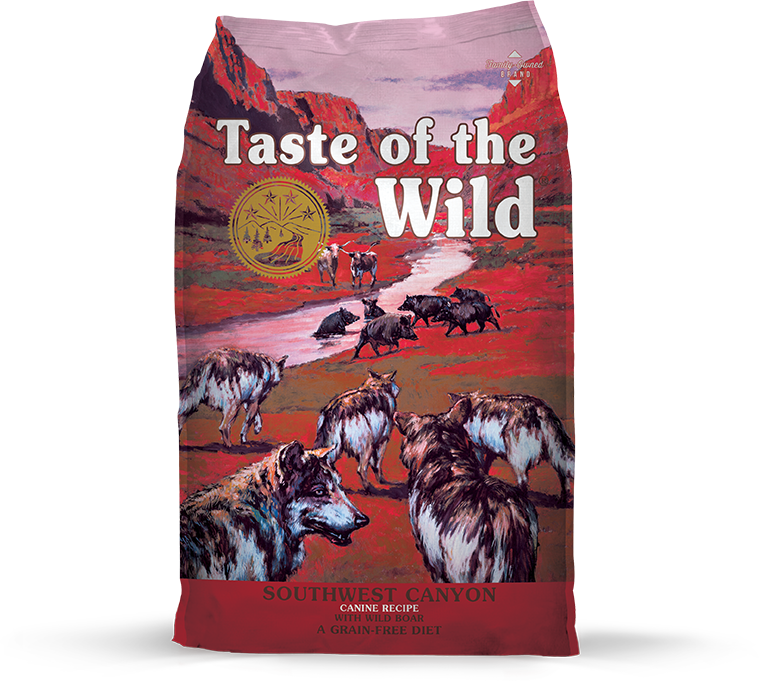 Taste of the Wild Southwest Canyon Canine Recipe is formulated to meet the nutritional levels established by the AAFCO Dog Food Nutrient Profiles for All Life Stages including growth of large size dogs (70 lbs. or more as an adult). Southwest Canyon® Canine Formula with Wild Boar is rated 4.7 out of 5 by 37. Rated 5 out of 5 by Heather from My bassets dance twice a day for Southwest Canyon. Darlene LOVES her Southwest Canyon. When choosing a food for her, my first acquired basset hound, six years ago, I wanted to give her quality food that was grain free. I researched for days and this is where we ended because of the ingredients and nutrition packed in the bag. I do add fresh berries and veg to keep it interesting because I am a spoiler, but the good thing about TOTW foods is that I don't have to worry about their nutrition if I don't have time to chop some spinach or banana for my sweet hounds. They literally dance a jig when it is dinner time. Thanks, guys! Also -- LOOK AT HER SILKY COAT and watch the video of her dance routine she does for a bowl of TOTW! Rated 5 out of 5 by Greyhound Hotel from Hound-approved! My 2 Dachshunds are fairly easy to please, but my 2 greyhounds tend to be selective. I usually rotate food and flavors, just to keep the big guys happy. Looks like Southwest Canyon will be rotated in frequently since they all approved! Both greyhound seemed to really enjoy this new flavor and showed me empty bowls to prove it. It's not to heavy on calories, which is great for the doxies; and it's strong on protein, which is better for the greyhounds. Rated 5 out of 5 by Angela from Happy Doggy!! Happy Mommy!! I have three Shih Tzus. Two are very healthy but one has food allergies and is an incredibly picky eater. 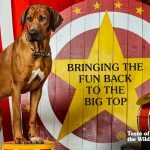 After four years of vet assistance trying to find something that wouldn't cause my dog to vomit or break out in a rash, they recommended Taste of the Wild. We tried multiple flavors but it was the Wild Boar that my boy got excited about! He literally does a little happy dance when I fix his breakfast every morning. He's a super picky eater and wont touch the other flavors but he loves Wild Boar! We've been using Taste of the Wild for over three years now and very rarely have an allergy incident (young guests sometimes sneak him table food). This is a wonderful product! Rated 5 out of 5 by RJBharris from No more skin issues Our first dog Trixie started getting a skin condition where she had little patches throughout that were very itchy. We took her to the vet, they gave her a cortisone shot. We did some research & found that dog food with grains in it can possibly cause allergic reactions, chicken as well. So we tried Taste of the Wild. Within a week, her skin improved. We feed this brand to our current dog, she has not had any issues at all. This dog food is amazing! I will not use any other brand! Rated 4 out of 5 by Chris from Good, but not for our pup Our pup didn't do as well with this blend as she did with the Sierra flavor. Her BM's got quite soft when she was on the Southwest flavor, and firmed right back up when we moved her (back) to the Sierra. After some trial and error we are thinking she might not do well with chickpeas, so if your pup isn't liking this one try one of the flavors with sweet potatoes. Worked for us. Rated 5 out of 5 by SunE Belle from My rescue beagles are crazy for TOTW! Arrrrooooo! I’ve been feeding TOTW for years! They really love all the formulas!! Rated 5 out of 5 by Shotgunrider_ from Our 3 dogs wouldn’t have anything else We have been feeding our 3 large dogs Taste of the Wild for over 6 Years. We have tried other grain free dog foods but Taste of the Wild is the only one that stays fresh until the end, we have never found mold and the food always smells fresh, not stinky. We also love the compassionate price points that keep Taste of the Wild much more affordable than other grain free dog foods. Rated 5 out of 5 by teddylebear from Taste of the Excellent We've been feeding our dog TOTW for nearly 3 years now and have nothing but positive things to say. 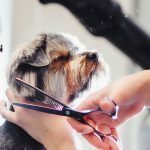 The quality is superb as we can clearly see our dog maintain a healthy coat and positive energy throughout his day. He has never had a bad reaction and we do appreciate the company's mission to produce a healthy and balanced meal. The only thing i would suggest is to add more flavors to their line up long term. I'm excited to see their newly released PREY series and hope our dog Teddy will love it as well. How many carbohydrates this food has per cup? Hi Cecilia, thanks for your question. Our Southwest Canyon formula has 36 grams of carbohydrates per cup. What is the percent of phosphorus in the Canyon dry kibble? JoAnn, the phosphorous content in Southwest Canyon Canine is 1.1% as fed. Can I feed this particular flavor (Southwest Canyon) to an 8 week old puppy? Hi Amber, thanks for considering Taste of the Wild. We recommend choosing a food specifically formulated for puppies or all life stages, especially for very young puppies like yours. We have two formulas specifically designed for puppies - High Prairie Puppy and Pacific Stream Puppy. What formula should I use for an overweight retriever? Do you believe you dog food is better or as good as Blue Buffalo, Orijen, and other top dog food brands. If so could you all show a chart comparing because I want to give my dogs the best dog food out there. Hello, thanks for reaching out. We are happy to hear that you are considering Taste of the Wild! 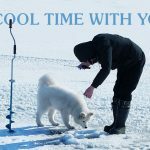 We cannot speak to other dog food brands, but Taste of the Wild produces premium, grain-free pet formulas that are based on your pet&rsquo;s ancestral diet. All of our formulas rely on ingredients like unique, high-quality meats, vegetables and fruits, and probiotics that maximize the nutritional health benefits for your pets, because like you, we want the best for our fur babies. If you have any further questions about our formulas, feel free to give us a call at 1-800-342-4808 or email us by visiting https://www.tasteofthewildpetfood.com/#contact-us. Hi, Patti. Our Southwest Canyon Canine Formula contains 1.1% phosphorus on an as-fed basis. hi is the product grain free ? Hello, Hector1516. Yes, Southwest Canyon Canine food is grain-free. Hi ~ my dog has yeast problems and I was told to reduce his carbohydrate intake. What is the percentage of carbs including sugar and starches per large bag of wild boar dog food? Thanks! The Southwest Canyon canine formula contains 33.8% carbohydrates, as fed.